Bristol Rovers twice fought back from a goal down to beat Gateshead in a five-goal thriller at the Memorial Stadium. Stuart Sinclair smashed in the winner after visiting keeper Adam Bartlett ran out of the area and lost the ball. Matty Pattison bundled The Heed ahead before Ollie Clarke equalised with a stunning low 30-yard strike. Alex Rodman slotted in as Gateshead regained the lead, only for Lee Mansell to level again with a free-kick before Sinclair's goal won it. Victory preserved the Pirates' fine home record in the league this season, having lost just once, while Gary Mills's Tynesiders remain three points outside the play-off places. Match ends, Bristol Rovers 3, Gateshead 2. Second Half ends, Bristol Rovers 3, Gateshead 2. Attempt missed. Matty Pattison (Gateshead) left footed shot from outside the box is too high from a direct free kick. Foul by Neal Trotman (Bristol Rovers). Daniel Wright (Gateshead) wins a free kick. Offside, Bristol Rovers. Matty Taylor tries a through ball, but Matty Taylor is caught offside. Attempt missed. Lee Mansell (Bristol Rovers) right footed shot from outside the box misses to the right. Lee Mansell (Bristol Rovers) hits the bar with a right footed shot from long range on the left from a direct free kick. Foul by Alex Rodman (Gateshead). Substitution, Bristol Rovers. Ellis Harrison replaces Alex Wall. Michael Rankine (Gateshead) is shown the yellow card for a bad foul. Offside, Gateshead. Daniel Wright tries a through ball, but Daniel Wright is caught offside. Attempt saved. Alex Wall (Bristol Rovers) left footed shot from outside the box is saved. Attempt missed. Phillip Turnbull (Gateshead) right footed shot from outside the box is too high from a direct free kick. Lee Mansell (Bristol Rovers) is shown the yellow card for a bad foul. Substitution, Gateshead. Daniel Wright replaces Rob Ramshaw. Goal! Bristol Rovers 3, Gateshead 2. 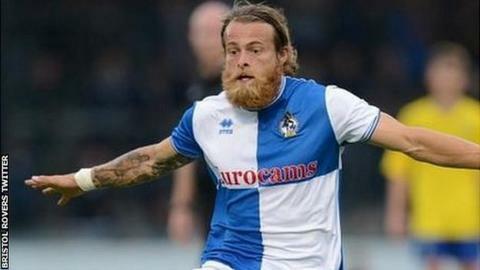 Stuart Sinclair (Bristol Rovers) left footed shot from the left side of the box to the top left corner. Goal! Bristol Rovers 2, Gateshead 2. Lee Mansell (Bristol Rovers) from a free kick with a right footed shot to the top right corner. Attempt blocked. Ollie Clarke (Bristol Rovers) left footed shot from the left side of the box is blocked. Substitution, Bristol Rovers. Neal Trotman replaces Mark McChrystal because of an injury. Substitution, Gateshead. Michael Rankine replaces Jamie Chandler. Goal! Bristol Rovers 1, Gateshead 2. Alex Rodman (Gateshead) right footed shot from the centre of the box to the centre of the goal. Assisted by John Oster.